The Tradition roller cover is a high quality woven fabric sleeve that is suitable for all paints for both interior and exterior painting. 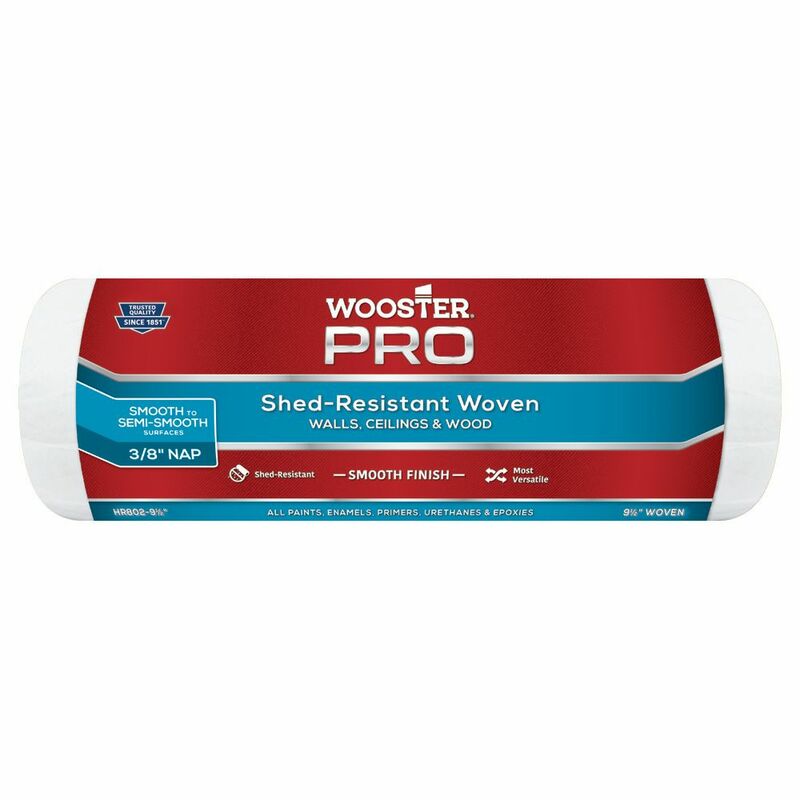 This roller cover will ensure a smooth finish and is lint free. For greater paint pick-up and release, choose a roller with a longer nap (longer fibres). For a smoother finish, choose a roller with a shorter nap. The 10mm roller refill is best suited for smooth surfaces such as painted walls, wood, trim and drywall. Performance Select Gold roller covers are made with a proprietary shed free knit fabric that is designed to pick up and release more paint than traditional lint-free covers, allowing you to finish paint projects faster. This professional grade roller cover produces a high quality finish, has excellent durability and is easy to clean for re-use. Purdy White Dove Roller Covers provide the industry's most lint free finish. Made of high density woven Dralon fabric, White Dove covers are designed for easy rolling and provide a high quality finish.